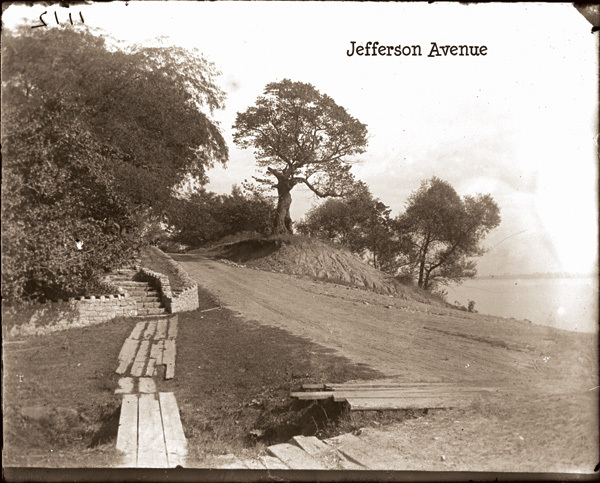 As the County of Macomb developed, highways were constructed along old Indian trails, the lakeshore and the river banks. The primary goal was to establish farm-to-market routes. These first roads were often corduroy roads made from logs placed perpendicular to each other. By the 1840s plank roads became popular, with seven of them located in Macomb. 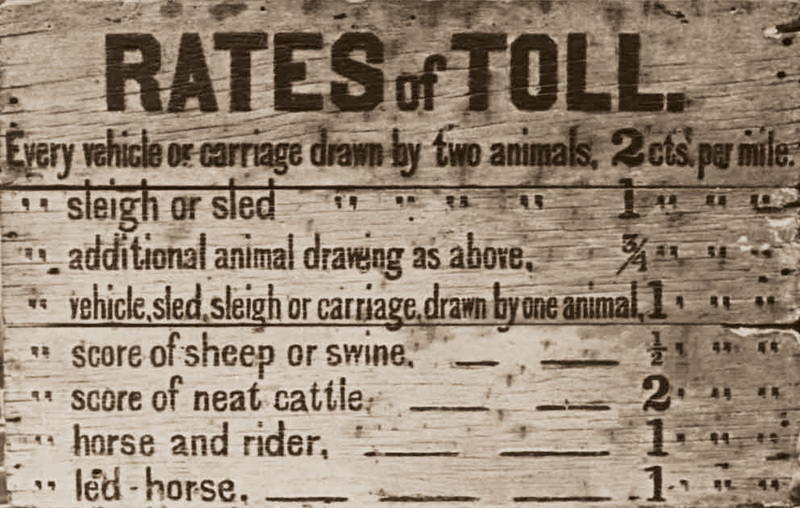 When the Michigan Territory was created in 1805, road construction was under the control of township and county governments and was financed under the “statute labor system.” Under this system, each village and township was responsible for the building and maintenance of the highways in their community and, as such, elected a pathmaster to coordinate workers and supplies. Each able-bodied male within a designated road district was required to work off their “highway tax” by hauling gravel and grading the local roads. A maximum number of days were required, with credit given for supplying horses, wagons, or other equipment. A charge was assessed if you were not able to work. The plank roads, owned by plank road companies and manned by toll booths, became obsolete as maintenance costs far exceeded profits, and by 1899, people no longer paid tolls. The statute labor system was abolished in 1907 and replaced with cash road taxes. With the increasing population and the popularity of the automobile, the county voted for the creation of a road commission in 1912, with William P. Rosso, Adna Freeman and Jacob Hartsig as the first commissioners. For their first job, they borrowed money from the Mount Clemens Business Men’s Association, purchased a team of horses and graded part of the Fort Gratiot Turnpike. In 1913, the first county road tax was levied in Michigan, removing some of the burden from local communities. In 1914, Michigan’s Gov. Ferris proclaimed the first statewide Road Bee Days to be June 4 and 5. Every community was to organize its own forces for road repairs in an effort to repair the 70,000 miles of roads in the state. Every neighborhood was to appoint a “road boss” for two days to coordinate the efforts of the men, women and children who were to remove logs, stumps, rocks and stones from the roadways, fill holes, drain wet places, plow, haul gravel and grade the roads. That same year, Macomb was first in the state to receive a $500 reward for its good road work on the Memphis Ridge Road. By 1916, poor weather conditions moved Road Bee Days to sometime between planting season and before the harvest season. The change in governorship in 1917 helped bring about the end of the Road Bee Days. 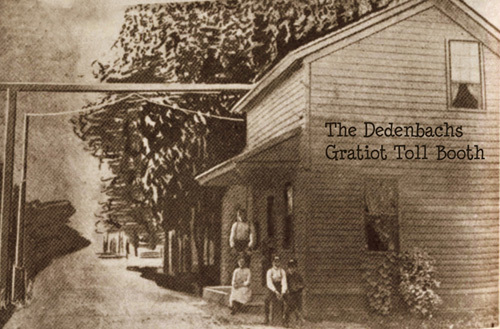 In 1920, the Gratiot Turnpike became the first concrete road in Macomb, and the infamous pothole was born. By 1925, maintenance of the primarily gravel roads throughout the county became a major issue, and the Road Commission created a separate department of road maintenance divided into four districts with headquarters at Romeo, New Haven, Mount Clemens and Warren. Today the Department of Roads is responsible for the maintenance of more than 1,700 miles of road, but you can still do your part to help maintain our roads. Next time you run into a pothole, download a brochure from the Department of Roads website entitled “Everything you always wanted to know about potholes,” and be grateful that you no longer have to fill them yourself!